Quality Beachside Apartment - Beautiful Gardens with Pools. A top quality apartment with a South-East facing front balcony and private rear courtyard for day long sunshine. The balcony has glorious views across the beautifully landscaped gardens and two large pools to the sea beyond. The apartment is conveniently located within a 5-minute walk from a selection of bars & restaurants at the marina. It is a 2-minute walk to the wonderful, sandy, 'Les Fonts' beach with its fresh water springs. Local Interest: There are a number of varied and interesting places to visit in the surrounding area. These range from the ancient walled towns at Morella (inland) and Peniscola (by the sea), to the Universal Studios theme park a little further up the coast at Salou. Full details are provided in the information pack inside the apartment. Golf / Leisure Activities: There are two magnificent golf courses within easy driving distance. One has been designed by Sergio Garcia and the other by Bernhard Langer. Rail Links: There is a main station at Benicarlo (about 20 mins drive). From there you can catch fast, frequent, and reliable trains to Barcelona (2 hours) and Valencia (1 hour). For full details please contact us for a website address. Small selection of mainly English books available Majority for adult readers. The location of this property is amazing. The property is well placed for access to the local shop - a few minutes walk away - which sells everything you could need for a self catering break (including fresh baguettes daily). The apartment is spacious and airy, with both a generous front balcony and a private rear sitting area. On exit from the gated complex, heading to the sea front, the promenade is directly outside the gate. With a fantastic sea view from the balcony and many local cafes and restaurants within walking distance, the position and location could not be better. The walk along the sea front is pleasant and all on the 'flat'. Plenty of options for eating out and some great ice-creams to be had. We hired a pedalo from the beach area in front of the complex and this provided a lovely afternoon of fun on a warm sunny day. If you do try this location, don't forget to check out the local market. This is an amazing apartment with a beautiful vista of the pools and the beach and sea beyond that. It has all the facilities you need on on a beach holiday. 2 lovely terraces which means you get the sun throughout the day, washing machine, dishwasher, and I'd you feel like cooking a 4 ring cooker with oven. The area is beautiful and you can manage very well without a car. However the are other local areas worth visit if you do have a car. It is clean and we'll cared for. Having visited this area many times we were really pleased to be able to stay in this 1st class apartment complex. The apartment itself is very well equipped, spotlessly clean and very spacious. The kitchen includes a washing machine and dishwasher and is very well equipped. A lovely spacious balcony overlooks the well tendered garden and pool area, which in turn is only several steps from the beach. The many restaurants of Las Fuentes are a short stroll away including our all time favourite of Sancho Panza which is just up the road. Diane the owner was very helpful and accommodating with our arrival and departure times and quick to respond to any questions I had during the booking process.I would certainly recommend this apartment and am looking forward to booking again for next year as soon as flights become available. Thank you for this lovely review and recommendation. We do try to respond to all queries promptly, to ensure our guests are confident the apartment will meet their requirements during their stay. An apartment you will want to use again. We have been visiting this area for 20 years & I have to say this apartment has everything you need for a great vacation. The whole complex is very secure as you need keys for admittance. The apartment was spotlessly clean with everything you would possibly need supplied. The kitchen truly had all the equipment including a dishwasher to make cooking easy, but as we love Spanish food so much we ate out as the area has great restaurants. The view from the front balcony (it also has a rear patio) was very pleasing with 2 really clean swimming pools & immaculate gardens which you can walk through to the beautiful sandy beach. We will definitely be going back to this apartment as it was so easy to book, we talked with the owners on the telephone in England & exchanged payment & keys within days. Had a lovely holiday staying in the apartment! 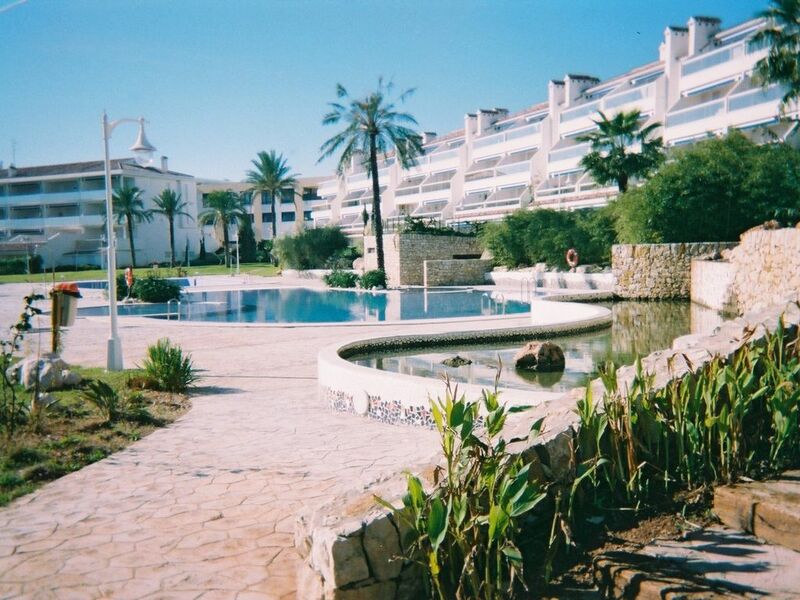 Very secure apartment complex with 2 big pools and the beach right on your doorstep! Great location and very close to the marina where there are plenty of restaurants and a short walk to loads more restaurants and bars in alcossebre! Supermarkets very close as well! Large balcony which has the sun most of the day but you can have some shade too by using the overhead canopy! Also lots of fans to keep you cool and a through draft which is nice on hot days. Great price! Wonderful holiday capped by this apartment. We found this apt browsing the internet one evening and we've never ever hit it so lucky.It was beautiful.The description speaks for itself,"Quality Beachside Apartment with Beautiful Gardens and Pools. "We couldn't describe it better.Lovely restaurants (too many to list) 2 minutes walk away,and a supermarket and other little shops right on your doorstep.The beach is 30 steps from the apt and is to die for.Tranquil in the evenings and a lovely warm atmosphere from all the permanent residents in this little community.Apt was spotless on our arrival and very highly maintained by the owner.The owner was superb throughout the booking,which made life so easy. Reus - an hour and 10 minutes away..
Valencia - an hour away . Barcelona - 2 hours away and Alicante - 3 hours away. If you want further information about this area, please contact us, using the details shown at the bottom of the page. Other Activities: Universal Studios Port Aventura is 1 1/4 hours away. 100 Pounds non refundable deposit required at time of booking. Balance payable six weeks before arrival. Discount available for long term rentals. Shorter and longer rentals are available please contact us for more details. However we are unable to accept bookings of less than one week from outside the UK due to issues with post and receipt of keys.